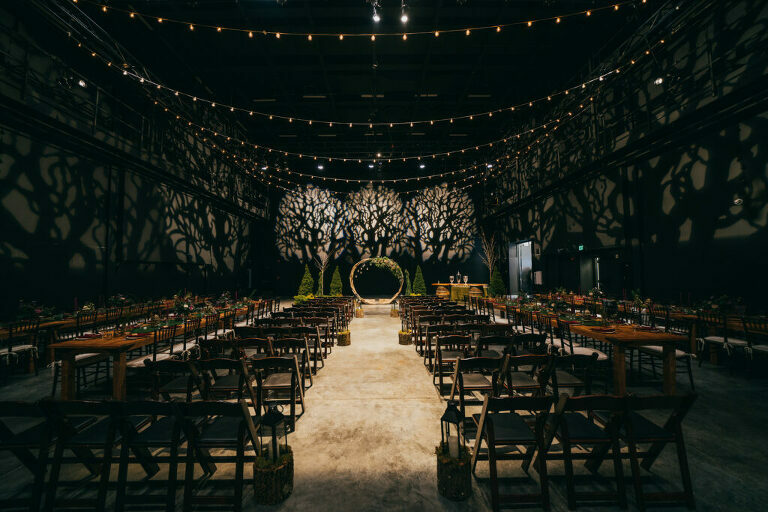 From time to time we like to sit down with some of our favorite wedding professionals and get a glimpse into what makes them unique and great at what they do. 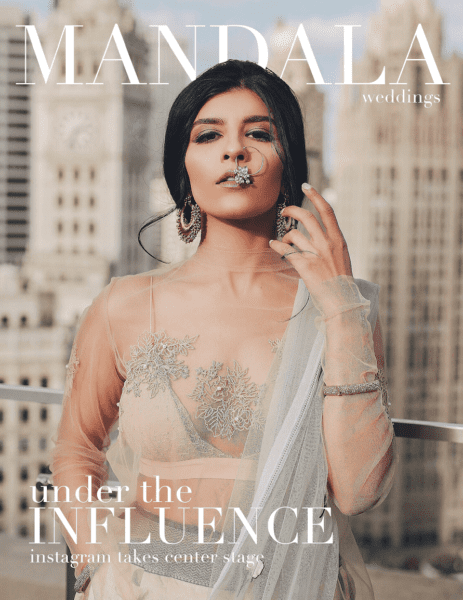 Today we chat with Nadine of The Henna Project as she shares how she started and why she has grown to love the art of mendhi so much. As a little girl growing up in Egypt, henna was embedded in many joyous events and occasions. From henna parties to getting henna on the beach in the warm sun, it became integrated with lots of beautiful memories. Fast forward to the year 2014, I took a trip to Morocco with my mom, aunt and her husband. Roaming the streets of Marrakech, we were surrounded by henna patterns everywhere and approached by Moroccan women to get our henna done. My aunt herself ran a henna business for a few years as an expat living in Washington D.C. and she incepted the idea that I can pick up the craft since I already had a little artist in me. And so the soul-search trip to Morocco and a heart-felt chat with my aunt opened the doors to the start of my henna journey. YouTube and Google became my best friends as I eagerly searched for tutorials, suppliers, attended conferences and did everything I possibly could to perfect my henna skills. 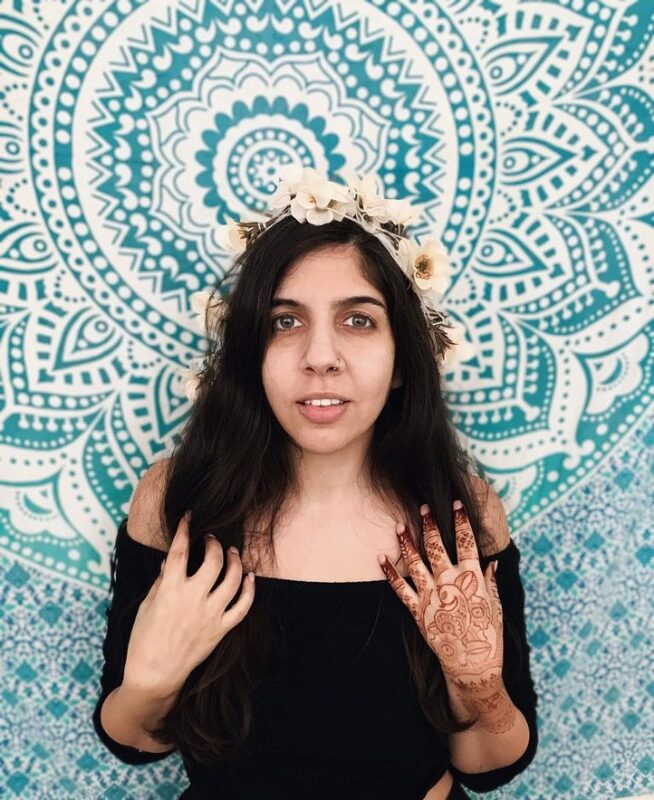 Henna became my gateway in connecting with people from all kinds of cultures and different walks of life that I myself have never really been in close proximity to. I started to apply what I learned about henna in other aspects of my life. It gave me a newfound form of self-confidence. I couldn’t believe all this beauty came from nature and this allowed me to embrace my own natural beauty and reiterate that message for other women to start feeling confident in themselves as well. 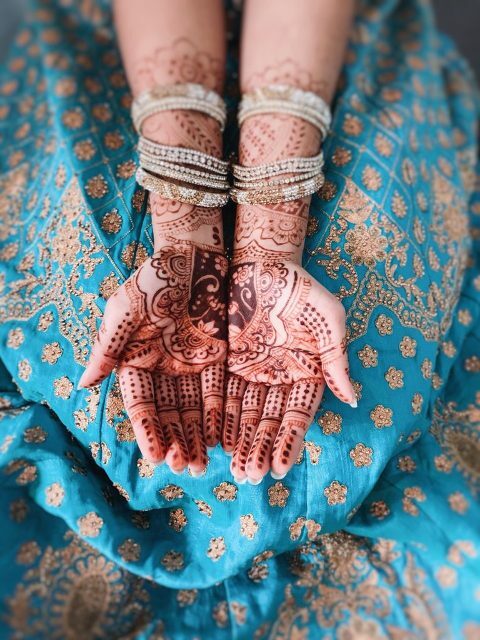 I dabbled a little in festivals and fairs, worked with clients from all over the world from prenatal henna to festival goers who wanted to adorn themselves in beautiful patterns until I got my first bride. Bridal henna was a whole other threshold and I found myself escaping in the woven traditional patterns heavily influenced by South Asian cultures. That’s when I started to specialize in bridal mehndi because everything about it spoke to me. I admire South Asian wedding traditions. I love how every tradition has a story behind it. And the more I immersed myself in henna, the more I found out about the root of these traditions. One of the reasons why henna was so popularized in the South Asian community was because back then a lot of the marriages were arranged and often henna artists would hide initials of the groom in the mehndi design. 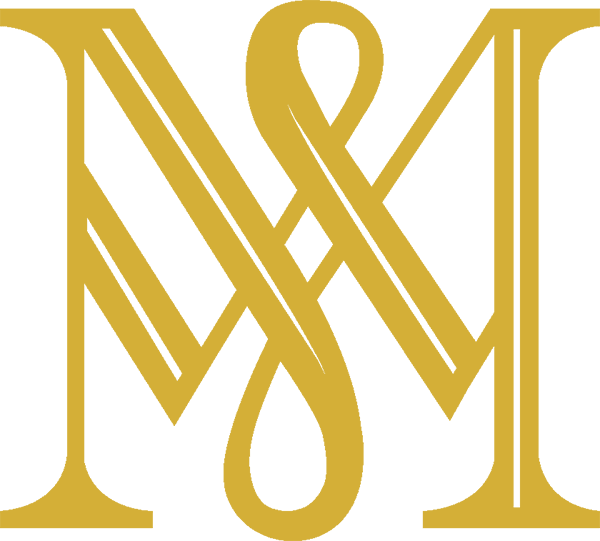 Seeing as the night of the wedding was the first time the bride and groom met, the groom would avidly look for his initials that’s carefully hidden and this acted as a casual and laidback ice breaker to ease the tension of not knowing one another. 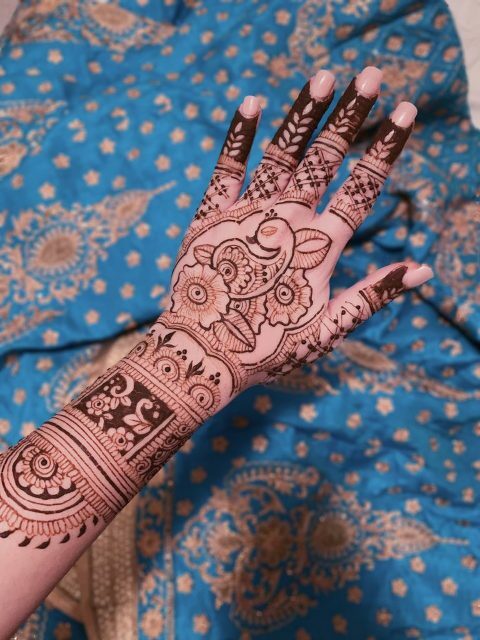 Another thing I love about henna is that it contains cooling properties that helps calm the body and I find that it works wonderfully for a bride who’s stressed (and let’s be realistic, all brides are usually super stressed before the big day). I absolutely adore working with brides because then I’m able to connect with them on a closer and deeper level and this translates beautifully in the henna design itself. Bridal henna is not a quick process, it usually takes hours upon hours to complete but it quickly became my favourite form of therapy. Four years later, I left my stable 9 – 5 corporate job as the Head of Marketing and Graphic Designer of a software company to pursue henna full-time. Now my entire life revolves around this mesmerizing craft and I always make it a point to invest in my skills whether it be through attending an overseas conference, an online workshop with other artists or playing an active role in developing bridal photo shoots. And while bridal henna is where my heart is at, I also make sure that I’m active in teaching other artists how to pursue henna as a career as well. A common problem I’ve seen is that a lot of henna artists out there do not channel their efforts in the right places and I help mentor and coach it in the right direction to help their businesses grow. Henna has influenced me in ways more than one and nothing titillates me more than being asked to do henna on a bride on one of her most special days. It is a huge honour for me to become part of someone’s wedding and I never take that experience lightly because every bride needs to be treated like the queen she is and I love how henna is my medium to help evoke that feeling.